In my previous post, I looked at the lone team from Central Asia, Kazakhstan. For this post, I will look at a team that has been our nemesis for much of our international basketball history — South Korea. Yang Dong-Geun returns to action as Korea's #1 PG. - Korea’s last major Asian tournament was the 2014 Asian Games in Incheon. The core of their teams from the 2013 FIBA Asia Championship and 2014 FIBA World Cup was pretty much intact for the Asiad, led by veterans Yang Dong-Geun, Cho Sung-Min, and Kim Joo-Sung. Reliable players Moon Tae-Jong and Oh Se-Keun also returned to the fold after skipping the 2013 FIBA Asia tourney for various reasons. They all played big roles as Korea swept all seven of its games en route to annexing the country’s first Asian Games basketball gold medal since 2002. The Koreans had to go through several tough outings in that competition, beating other medal contenders Qatar, the Philippines, Japan, and Iran by an average of only 4.8 points. Both Moon and Oh, however, won’t be around this year. Moon Tae-Jong, who just turned 38, has already given his spot as the team’s go-to naturalized player to his younger brother, Moon Tae-Young. Oh Se-Keun, meanwhile, has been reeling from a couple of injuries, so he, too, is expected to miss the 2015 FIBA Asia Championship. 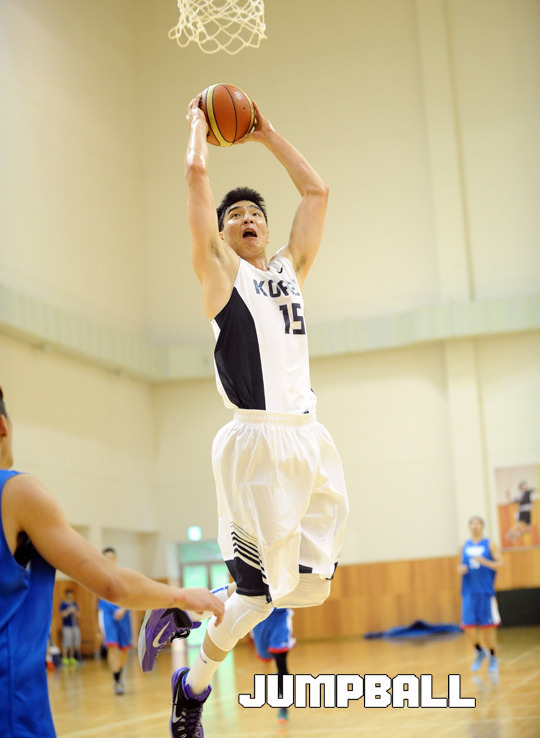 6'9 big man Lee Jong-Hyun has been a mainstay for the men's team these past two years. 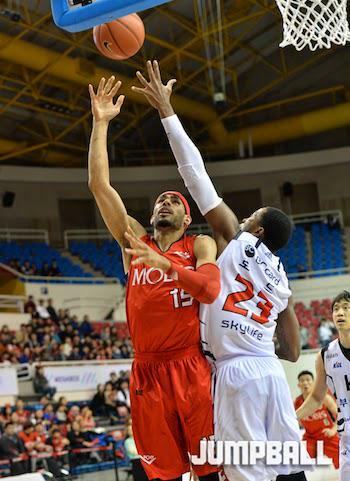 - The Korean Basketball League’s 2014-2015 season ended earlier this year with Ulsan Mobis Phoebus’s completing it 4-game sweep of Wonju Dongbu Promy, 81-73, on April 4. Afterwards, there was a bit of controversy regarding who will take the head coaching chores of the national team. Traditionally, the coach of the champion team, in this case Yoo Jae-Hak, was supposed to automatically helm the squad, but the seasoned tactician begged off for health reasons and because the KBL’s 2015-2016 season would coincide with the 2015 FIBA Asia Championship. This was a sorry development as Yoo coached the team in its last three major tournaments. Several possible replacements popped up, including Wonju’s Lee Sae-Bum, 2011 national team coach Hur Jae, and a name familiar to all Filipinos — Lee Sang-Min. Eventually, however, the job fell on the lap of Kim Dong-Kwang, a former coach in the KBL and a commentator/analyst from the MBC network. A few weeks after that issue was resolved, training camp formally started on July 20 (the players had individual training and conditioning long before that, though). The national pool also got additional size with the comebacking Ha Seung-Jin, who last played in a FIBA Asia tournament way back in 2011. Ha was fresh from military duty and looked more fit that ever. Korea recently had a series of tune-up games with East Asian rival Taiwan, and they split their games, 1-1. The first game was tight, with Taiwan winning by 3, but the Koreans came back strong in the second game to blow out their foes by more than 20 markers. Korea will now join the 2015 William Jones Cup as one of the title favorites, and, in fact, its game against the Taiwanese’s A Team has already sold out all tickets. Korea, however, did not go elsewhere for training camp or tune-up games. 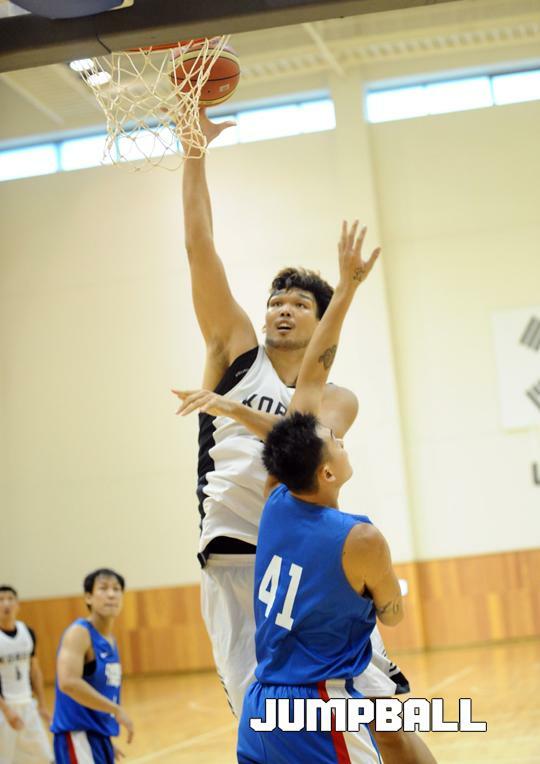 Kim Jong-Kyu skies for a slamma jamma in their tune-up game against Taiwan. - Of the twelve players who have already been confirmed for the Jones Cup, only 4 players didn’t see action for the senior men’s team in the past two years. These are the 7’3 Ha, young power forward Lee Sung-Hyun, Moon Tae-Young, and up-and-coming shooting guard Lee Jung-Hyun. Coach Kim has chosen not to shake the boat too much and has made sure to retain the core of players that enabled the team to achieve a high level of success these past couple of years. Needless to say, his main theme in completing his roster was continuity. In accordance to this, twin 6’9 towers Kim Jong-Kyu and Lee Jong-Hyun are back and expected to continue patrolling the paint. Both probably won’t drop 20 points on any one team, but given their length and athletic ability, both Kim and Lee should be vultures around the rim (Lee led the entire field in the 2014 FIBA World Cup in terms of shot-blocking). At the point guard spot, Yang Dong-Geun, Park Chan-Hee, and Kim Tae-Sul are all pretty much interchangeable. They are all cat-quick players, solid decision-makers, and deadly shooters. Speaking of shooters, Cho Sung-Min remains the most potent of the bunch (remember how he killed Smart-Gilas in 2011?) with Lee Jung-Hyun probably next in line. Yoon Ho-Young is a versatile wingman in the mold of, say, a Gabe Norwood or Jared Dillinger, while Lee Seung-Hyun is a lefty version of Ranidel de Ocampo — a super lethal stretch 4. Top-to-bottom, this is a deep and strong team with no glaring weaknesses whatsoever. Moon Tae-Young is certainly one of the main men to watch for Korea. - Korea should be very competitive in the Jones Cup, but expect their true worth to really shine through in the FIBA Asia Championship. For the second tournament running, they will be grouped with China in the preliminaries, which may not be so bad since they beat China in 2013 and are again favored to defeat their bitter East Asian rivals this time around. Korea should be able to sweep the preliminary and second rounds of the tournament before going deep again in the KO rounds. As long as there are no major injuries, this team is projected to go very far and be among the clear favorites to book the continent’s lone ticket to the 2016 Rio Olympics. 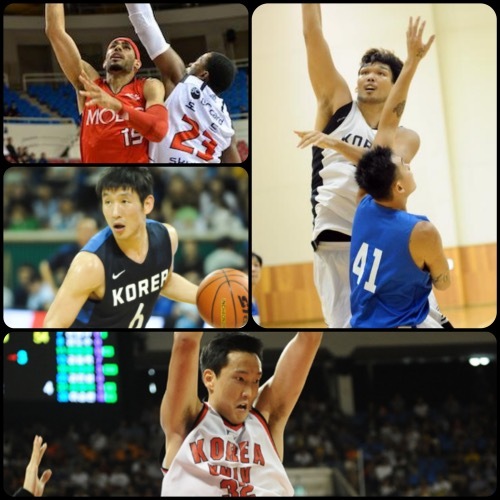 Will Ha Seung-Jin's return to the national team augur well for their campaign in the 2015 FIBA Asia Championship? Nope. This is a different player. Eric Sandrin's Korean name is Lee Seung-Jun. This one is much younger. He is Lee Seung-Hyun (yes, confusing), who plays for the Goyang Orions. He is a lefty version of... maybe... RDO since he can mix it up inside and shoot the three as well.